(Newser) – The Tokyo District Court approved the release of former Nissan Chairman Carlos Ghosn on 1 billion yen—$8.9 million—bail on Tuesday, ending nearly four months of detention. The acceptance of Ghosn's request for bail, his third, came a day after one of his lawyers said he was confident the auto executive would gain his release from the Tokyo Detention Center. The newly hired attorney, Junichiro Hironaka, is famous for winning acquittals in Japan, a nation where the conviction rate is 99%. 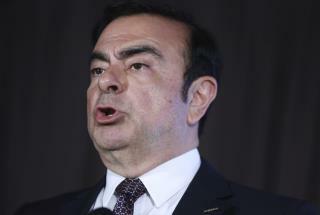 Hironaka said Monday that he had offered new ways to monitor Ghosn after his release, such as camera surveillance, the AP reports. “in Japan, a nation where the conviction rate is 99%” That is scary AF. I thought we lived in a police state, these guys took it to the next level.